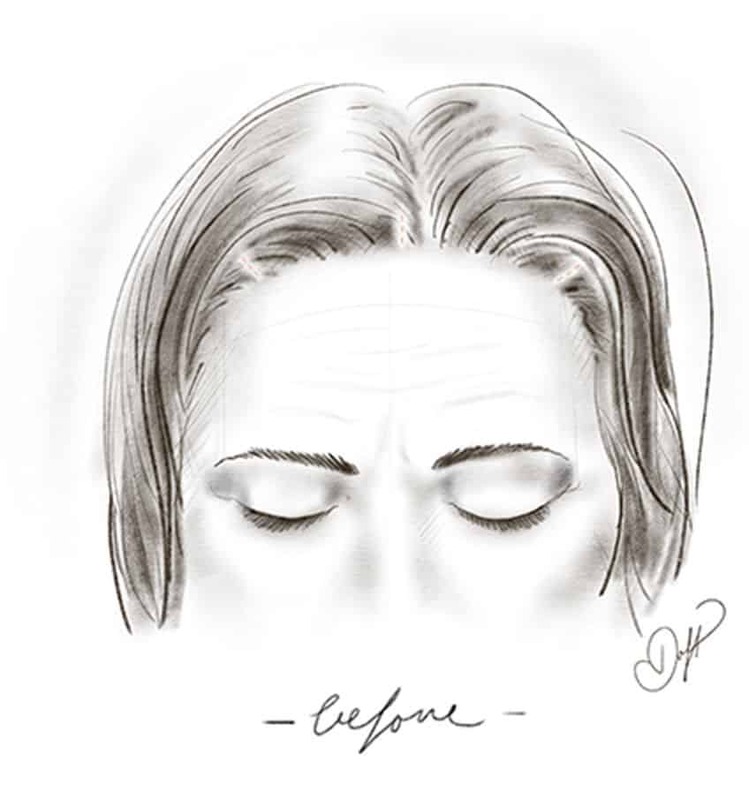 Although neurotoxins like Botox, Dysport and Xeomin have reduced the number of brow lifts being performed today, in many patients a brow lift is necessary to revitalize a wrinkled, drooping forehead and to brighten your eyes by repositioning sagging eyebrows which lead to hooding of the upper eyelids. Via either an open, minimally invasive (endoscopic) or suture suspension (string) technique, a brow lift will alter the muscles above your eyes to create a smoother, softer forehead and raise your eyebrows for a more youthful and alert appearance. 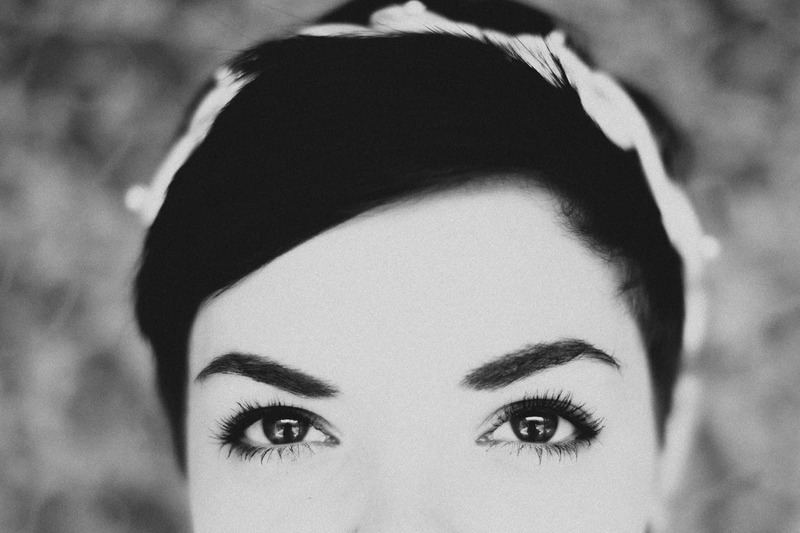 Most patients present complaining of lidding upper eyebrows and a tired appearance. A browlift is beneficial for patients whose eyebrows are at or below their orbital rim (the bony rim around your eye). Most patients will be best treated by a combination of a browlift and an upper blepharoplasty (eyelid surgery). The browlift will re-establish a natural arch to your eyebrows, elevating the outer aspect. Not all patients who have lidding of their upper eyelids require a browlift. In fact, only a minority of patients will. Most patients will only require upper eyelid surgery. Good candidates for a browlift are healthy individuals who do not have other medical conditions that may impair healing. It is essential that the patient is not smoking, as nicotine impairs wound healing. 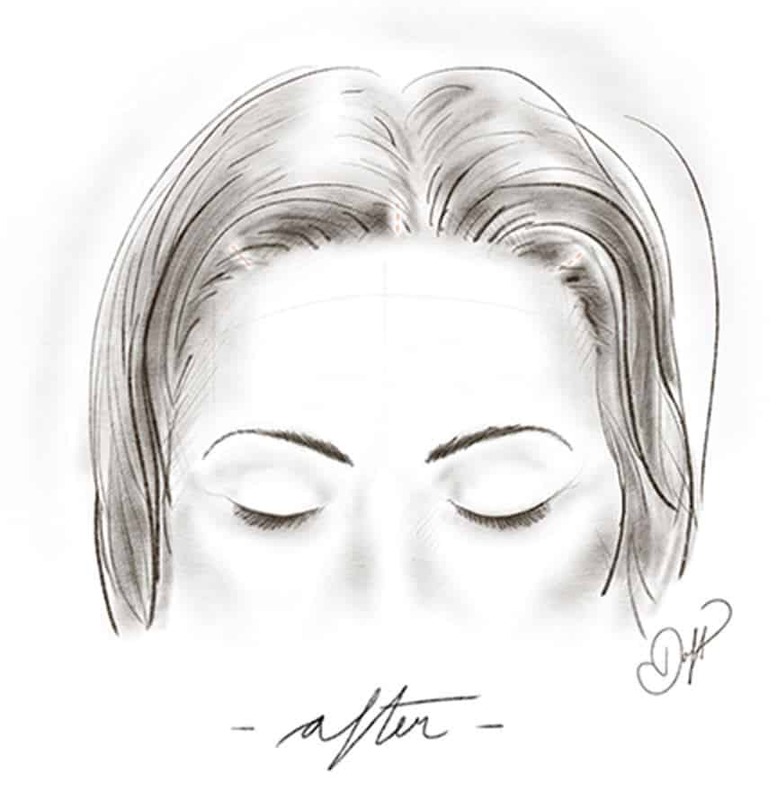 The newer browlift techniques use endoscopic instruments and shorter temporal incisions, which are hidden within your hairline. Often the procedure is performed in combination with other operations like a blepharoplasty (eyelid surgery) or facelift for total facial rejuvenation. The incisions are small scalp incisions above the hairline. Through these incisions, the forehead skin is loosened, lifted and redraped over your forehead using small dissolvable anchors which attach to your bone. The incisions are closed without hair loss. A browlift may be performed in a hospital or an outpatient surgery center. I work closely with an anesthesiologist to make sure that you are monitored throughout the whole procedure. The anesthesia consists of local anesthetic and IV sedation. The procedure lasts for one and half hour depending on the extent of work. Recovery time depends if any additional procedures are performed. Patients often find the operation less painful than they would expect and are taking only Tylenol for pain after a few days. You will be able to do light activity on day one, wash your hair on day two, and return to work in seven to ten days. Stitches are removed in ten days. For patients who have traveled a long distance, I ask that you stay in the New York area for 10-14 days before flying home. The results from a browlift are visible immediately but you will see that your results continues to improve over the next six months as the swelling subsides. The results are dramatic and long-term. These results can be enhanced by sun protection and proper skin care. Non-surgical treatments can also be used to help maintain a youthful appearance after surgery. If you are considering having a browlift, please call our office at (212) 600.4109 to arrange for a consultation. Our New York City practice accommodates out of town and international patients who need to travel in for surgery as well as those who are local to Manhattan.